Protect your Land Rover by purchasing a car warranty from us. Land Rover is a UK-based company, run by the Jaguar Land Rover group, yet owned by the Indian car manufacturer Tata Motors since 2008. Jaguar Land Rover is the UK’s largest manufacturing business. Their current headquarters of situated in Whitley, Coventry, United Kingdom. Land Rover’s history dates back to 1948, where it was a one-off model designed by Rover. It was re-engineered in 1978 to support the 4 X 4 drive configuration and ever since then; it was branded as Land Rover. This popular brand changed ownership many times. Originally owned by the Rover Company, then absorbed into Rover-Triumph after British Leyland Motor Corporation purchased Rover, Land Rover was so popular that became a standalone company in 1978. BMW purchased Rover Group in 1994, but then the Land Rover brand was sold to Ford in 2000 (who also later purchased the Rover Brand in 2006). All of these assets were then sold to Tata Motors in 2008, which has proven to be a successful investment with sales rising each year. Land Rover has been a major producer of vehicles for British and Australian military, having delivered thousands of vehicles. Land Rover is a preferred brand in racing as well, with the popular Land Rover Discovery being the most widely used vehicle in the Camel Trophy, held from 1980 to 2000. Land Rover and Range Rover models also featured in the Dakar Rally. Due to the popularity of Land Rover across the globe on whichever terrain it takes on - racetracks, public roads, and army camps - it has become a highly desirable vehicle and a firm favorite to many. With the luxurious interiors and classy finishing, Land Rover is one of the favorites among car owners. People who own Land Rovers ensure that they protect their Land Rover cars by availing a warranty from us. The warranty cover we provide is the best available in the market and it comes at a very competitive price. • Is the warranty applicable on wear and tear damages? • Is the warranty applicable if there is any damage caused due to overheating? • Is the warranty applicable on repairs due to the failure of uninsured components? • Will it cover the damages or failures discovered during the time of servicing? • Will you be able to choose when and where you can get the car serviced and repaired? • If all the service cycles have been followed and still, the car is damaged or needs repairs, will it be covered? A 4 X 4 military vehicle, it has amazing off-road ability and it has been in use for the past six decades now..
Click here to get an extended car warranty quote for your Defender 90. The Land Rover Defender 110 has been in use since before the Defender 90 was out and it has great power and more space in the interior, with the off-road ability being similar to that of Defender 90..
Click here to get an extended warranty quote for your Defender 110. Another amazing 4 X 4 vehicle by Land Rover, the driver’s view is amazing in this car and also boasts great off-road capabilities. It can be recognized easily and is highly popular among off-roaders..
Click here to get an extended car warranty quote for your Discovery 3. The Discovery 4 is for executive types and it has a muscular and tall body, making it look prominent on the road. The power is superb, and so is the interior of this vehicle. Click here to get an extended warranty quote for your Discovery 4. The Land Rover Freelander 2 is a brilliant 4 X 4 that adapts superbly to both tarmac and dirt roads. The suspension is soft and this car offers a great level of convenience for the drivers. Click here to get an extended car warranty quote for your Freelander 2. A modern and sportier take on the classic Range Rover series, the Range Rover Evoque is angular, stylish and although it looks compact, it has a lot of cabin space and is one of the most comfortable Land Rovers. Click here to get an extended warranty quote for your Range Rover Evoque. A wonderful and luxurious car that has a 4 X 4 drive, the interiors of this car is extremely desirable. Also, it is highly powerful and known for its maneuverability. 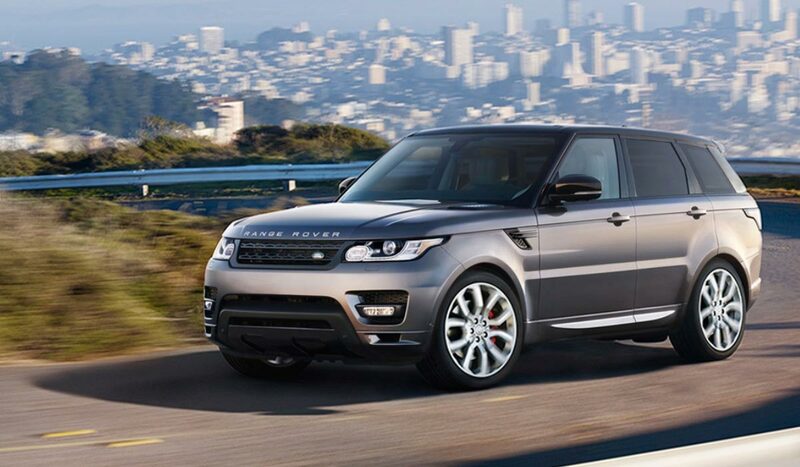 Click here to get an extended warranty quote for your Range Rover Sport.